The horrible December 14th Connecticut school shootings are an outrage on humanity, and it is right to raise questions about how and why they happened, and what should be done. The emotional response by President Obama that day and the refrain in the worldwide media in the days after appear to suggest that the American policy imperative now may be to severely restrict the availability of guns. A logical review of the facts surrounding American gun homicides would suggest otherwise however. Clearly, without question, some people cannot be trusted with guns, and such people should not be allowed to possess or acquire them to begin with. But it is also outrageous for American leaders to extrapolate that all other people can not or should not be trusted with modern firearms for their self-defense based simply on what happened in Connecticut and elsewhere this year. A draconian ban like those imposed in the United Kingdom or Australia after similar shootings is not the way forward for America. Such a course of action would be an example of weak leadership and policy-making hijacked by emotion. American citizens must hold their political leaders to a higher standard of careful fact-based governance. Just as the Obama Administration has rightly rejected calls from absolutist humanitarians abroad to categorically ban modern landmines, cluster munitions, and nuclear weapons for America’s own defense, so to should the Obama Administration reject calls from absolutist anti-gun activists at home to ban or severely roll-back the availability of modern small arms for individual self-defense. The first step forward must be to critically examine basic assumptions about death and armed violence in America. Perhaps the most enduring assumptions by absolutist in the anti-gun policy community are the false if not outright dishonest assertions that more guns have meant more violence in America over time, that gun homicides have been trending upwards, and that today we are worse off than we have been. Despite what news media coverage suggests, the truth is that gun homicides in America have been on the decline for some time. We must remind our leaders and ourselves that the core competency of the news media / infotainment complex is precisely to showcase extremely bad situations, and to confer upon them, through repetition and the internet echo chamber, a false sense of normality. News, by definition, is not about normal life and events. And so the mass shootings in Connecticut and elsewhere must be recognized for what they truly are: statistical outliers. Contrary to hyperbolic media coverage, gun homicides are hardly an uncontrolled epidemic for Americans. In fact, they constitute a relatively low and decreasing threat to public safety over time. An examination of available official information managed by the United States Centers for Disease Control and Prevention (CDC) bears this out. For the sake of simplicity and argument, let’s absurdly assume that all homicides in the United States from 1999-2010 were caused by firearms, and firearms alone. And for good measure, let’s assume all homicides were unjustifiable. Now, if one examines the top 10 leading causes of death over this period, nowhere in any age group is homicide (“by firearms”) public health and safety enemy #1. In fact, the most consistent leading cause of death across the majority of age groups is: unintentional injury, accidents. The closest homicide (“by firearms”) ever comes to being public enemy #1 is as enemy #2 for people aged 15 – 24 years. But even in this demographic, over the 1999-2010 period, the difference between public enemy #1 and #2 is a substantial. Over 175,000 people died in accidents, just under 63,000 people died in homicides (“by firearms”). In other words, in this most at-risk demographic, and even absurdly assuming all homicides are unjustifiable and caused by firearms, three times more people die from accidents. The situation for children aged 5 – 9 years is even more extreme with homicide ranking #4, with over eight times as many children dying from accidents. It is therefore misguided, lazy, and/or dishonest to say that guns in America are somehow public health and safety enemy #1. Policy-makers need to run the numbers and use the data to drive their public health and safety decisions. Please click the thumbnail table below for more details. Raw source data is available here. Nevertheless, absolutist on the anti-gun side of the debate still plainly misrepresent the truth by pointing to the number of gun deaths in America. They also like to contrast the number of gun deaths in America with those from other countries. Both of these are faulty exercises. 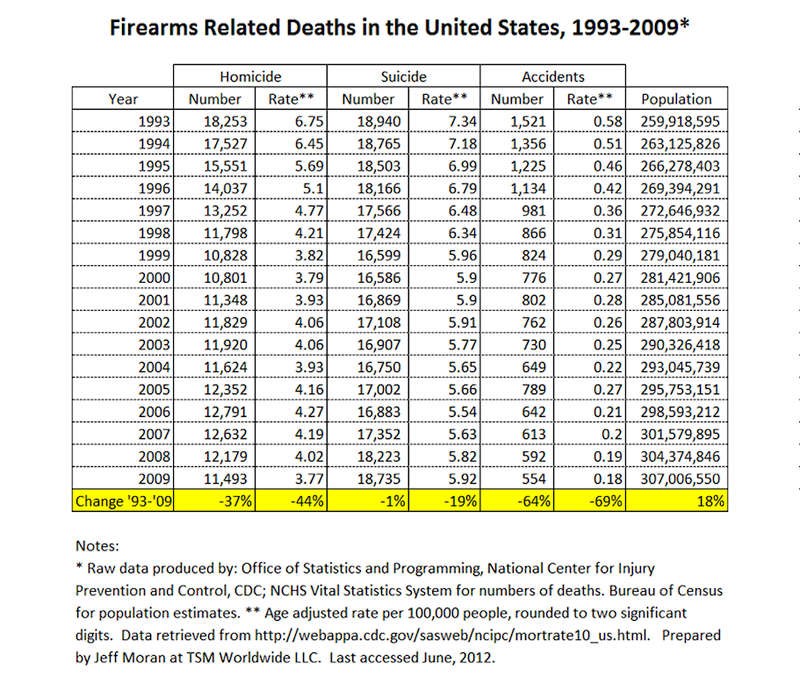 The relevant numbers to examine are gun death rates, such as deaths per 100,000 people, and not the absolute numbers. Absolute numbers help one to loose sight of the fact that that big countries like America simply have a lot more people and deaths in general, and that each year the population grows absolutely as well. In short, absolute comparisons of gun deaths are practically meaningless. Therefore, again, it is either a sign of profound ignorance or simple dishonestly when one makes a big deal about the absolute number of gun deaths in the United States, especially in comparison to any country in Europe for example. The same can be said of comparing the United States to other countries with plainly incomparable constitutional provisions, and/or social and political histories. What is perhaps most relevant for national gun policy purposes are the national rates of gun deaths combined with the trend over time. Such trend information gives one a sense of magnitude plus direction and historical perspective. As with pointing to absolute numbers of gun related deaths, it is simply illogical to look at numbers at a single point in time and draw policy conclusions. By extension, it would be mistaken in the present situation to conclude that availability of guns in America now presents a national problem because 2012 was a year with several spectacular episodes of mass gun homicides. This is because trend analysis using available government data actually suggests that gun homicides are becoming less frequent than they have been. Official American data can once again help reveal a truth worth recognizing and internalizing: while the national gun inventory and gun ownership rates in America have indeed increased over the past nearly 20 years, America has actually been experiencing a phenomenal decline in the rates of gun-related homicide, suicide, and accidental death. To the extent that historical trend has continued since 2009 (the latest year for which information was available), there are actually many more suicides involving firearms than both gun-related homicides and accidental deaths, combined. And the trend (suicides v. homicides + accidents) is accelerating. Doesn’t this therefore suggests the more important national priority for America’s leaders has been for years the problem of suicide? It is also important to note that, over the past nearly 20 years, gun-related homicides, suicides, and accidental deaths have actually decreased by an astounding 44%, 19%, and 69% respectively. 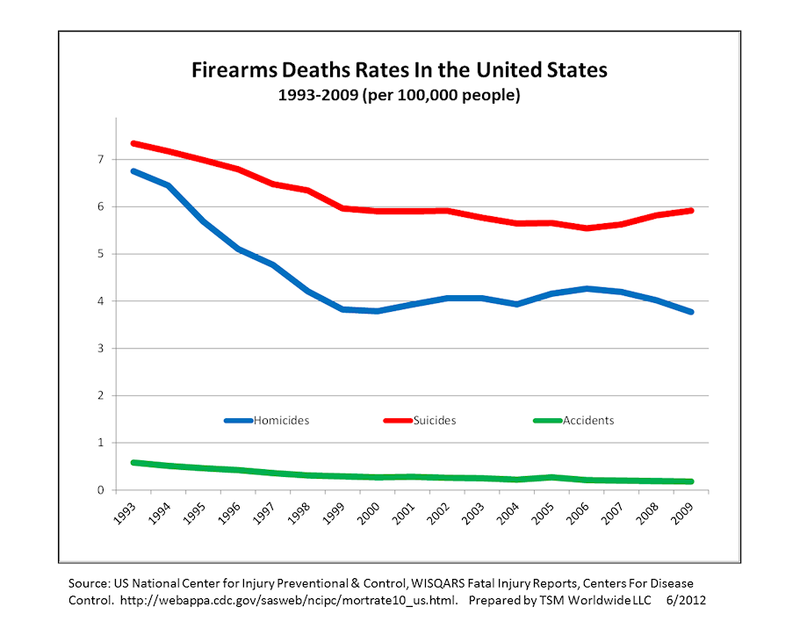 Doesn’t such downward trend for all types of gun deaths suggest America is on the right track? 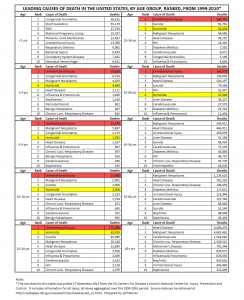 Please click the thumbnail chart and table below for more information about American gun-related death trends. They are based on official data pulled from mortality statistics managed by the CDC. The date range for these is from 1993, a peak year, to 2009, the most recent year for which age-adjusted data was available. The graphical chart depicts the death rates in the data table beside it. The death rates shown in the data table are age adjusted per 100,000 people and rounded to two significant digits. Raw source data is available here. In conclusion, America needs honest leadership and public policy driven by logic and by an honest examination of assumptions about gun violence in America. Politicians should not be permitted to take the easy way out of this leadership challenge by simply blaming guns and their availability, and by misrepresenting and overstating the problem of gun homicides. The facts are plain and simple, gun homicides are not public enemy #1. And to suggest otherwise is profoundly ignorant, lazy, or simply dishonest. Ultimately, the American gun policy imperative is for political leaders and civil society on all sides of the issue to strike a balance between the inherent rights of individual citizens to armed self-defense and the collective interests of public health, safety, law and order. This is certainly never an easy task. Yet with the horrible memory of the Connecticut shootings still fresh in mind, and politicians poised to take action, Americans must be all the more vigilant. Our political leaders must not be permitted to resort to policy driven more by soft emotion and convenience than by hard analysis driven by relevant facts, trends, and appropriate problem definition. Jeff Moran, a Principal at TSM Worldwide LLC, specializes in the international defense, security, and firearms industries. Previously Mr. Moran was a strategic marketing leader for a multi-billion dollar unit of a public defense & aerospace company, an American military diplomat, and a nationally ranked competitive rifle shooter. He is currently studying international humanitarian and human rights law with the Executive LL.M. Program of the Geneva Academy. Earlier this year he completed an Executive Master in International Negotiation from the Graduate Institute of Geneva. Mr. Moran also has an MBA from Emory University’s Goizueta Business School and a BSFS from Georgetown University’s Walsh School of Foreign Service. First Published: 16 December 2012. 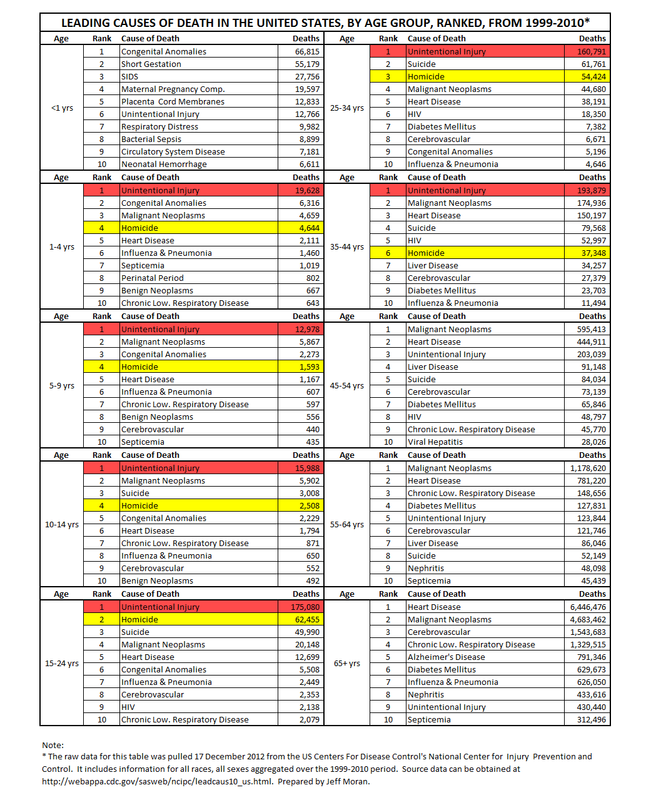 Last Updated: 18 December 2012. Online republication and redistribution are authorized when this entire publication (including byline, hyper-links, About the Author section and the linkable URL http://tsmworldwide.com/american-gun-homicides/ are included. See other published items at http://tsmworldwide.com/category/published/.